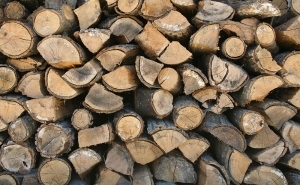 Stay warm in the winter with split firewood. A to Z Treez has seasoned and unseasoned hardwoods available. We cut, split, and deliver the wood to your home. For an extra fee we will even stack it for you! A to Z Trees is an authorized fuel assistance vendor. The Low Income Home Energy Assistance Program (LIHEAP) aka Fuel Assistance, provides eligible households with help in paying a portion of winter heating bills.